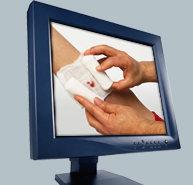 Tri-Tech Health provides a network of physician-based specialty wound care management services. We utilize a secure Telehealth-based operating system over high-speed Internet connectivity in physician offices/clinics, skilled nursing and assisted living facilities, and in patients' homes. Tri-Tech Health currently provides services to the largest South Florida managed care health plans encompassing coverage to over 250,000 Medicare risk and Commercial lives utilizing physicians (surgeons, MDs, and podiatrists), nurse practitioners, and physician assistants to provide wound healing services. We have also put together a state-of-the-art I.T. department in order to employ the fastest and most reliable telemedicine system possible. Comprehensive formulary of advanced wound healing products. Competitors' wound care services are often rendered in hospital-based settings at higher costs. (Facility fees alone can be four times the cost of Tri-Tech Health's system). Although state-of-the-art treatment is available, standardization is still lacking and access to care is difficult and time consuming. Through the integration of technology and proven evidenced-based treatment systems, Tri-Tech Health breaks the pattern of expensive wound care in South Florida by moving the skill level to the community, while maintaining exceptional outcomes and a bundled service rate for all the components of the system. This process allows Tri-Tech Health to provide sizable savings to health plans. Tri-Tech Health's system also provides immediate feedback to primary care physicians (PCPs). Traditional communication patterns take up to 30 days for feedback to reach the PCP. Copyright © 2014 Tri-Tech Health, LLC - Wound Care Advanced. All rights reserved.